If you are in between sizes in the bust, or have wider shoulders, please order up. 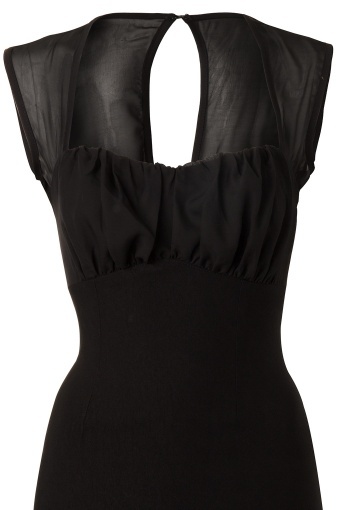 The Micheline Dress in Black with Black Chiffon Trim by Pinup Couture. This design is named after Pinup Girlsclothings Hottie Micheline, and like her, will turn heads and bring traffic to a screeching halt! Redesigned and even more ravishing than before. Made from the highest quality stretchy bengaline that is soft, not scratchy, and holds you in while hugging your curves. 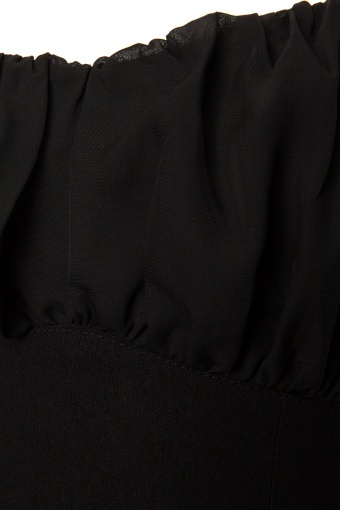 Features include a fitted, structured "wiggle" silhouette, chiffon cap sleeves, gathered black chiffon-covered bodice, and a kick pleat at the back of the skirt. The gathers at the bust create the illusion of bigger chi-chis. 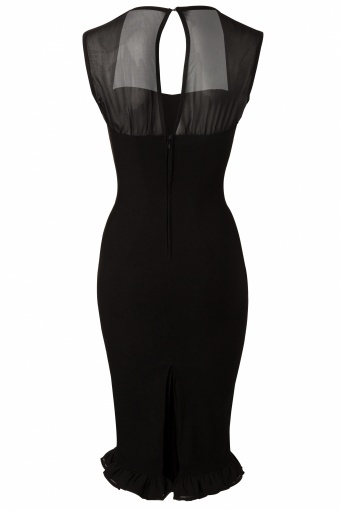 If you are in between sizes in the bust, or have wider shoulders, please order up. Available in several styles. Made in USA.